Jim Duckworth has many years diving experience along with thousands of hours on the water. 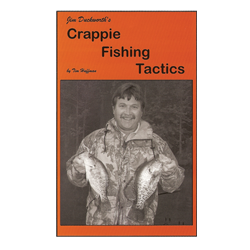 Well known as a middle-Tennessee multi species guide, Jim has developed tactics for consistently catching fish. His crappie basics, tips and tricks can help you add more crappie to your stringer.